Kilter Termite and Pest Control is the leading provider of termite treatment services in Los Angeles, California, and all surrounding areas. Having served homeowners since 1991, we have committed ourselves to providing effective extermination solutions that are tailored to our customers’ needs. As a result, we’ve earned an outstanding reputation for reliability, which is evidenced by our A+ rating with the Better Business Bureau and designation as one of the top 100 pest control companies in the nation by Pest Control Technology. Kilter also offers extended service contracts on a quarterly or biannual basis, which may help eliminate the need for any further termite treatment or pest control services in the future. 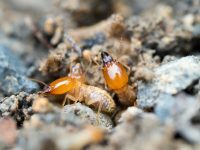 To learn more about the benefits of turning to Kilter Termite and Pest Control for termite treatment at your home in Los Angeles, CA, contact us today. Also, ask about our repair services which can help restore areas of your home that have been damaged by termites.